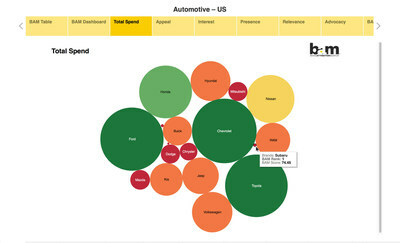 TORONTO, April 10, 2019 /CNW/ - Now in market is Mass Minority's Brand Attraction Monitor (BAM), a first-of-its-kind technology that was created to help brands understand the full impact of a campaign's effectiveness across a brand's whole ecosystem in near real time. With this information, an organization can see how their full range of communication efforts are performing against key competitors. 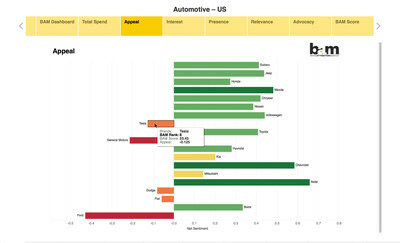 BAM measures a brand's expenditures against the effect on consumer emotion and influence on overall behaviour in-market. This creates a brand attraction score in comparison to key competitors. Brett Channer, CEO of Mass Minority - the data analytics company behind BAM - notes, "Other major marketers, like Unilever, are declaring they are going to build a tool that measures performance across media channels to better understand their overall marketing efforts which will better inform their ROI. This is to announce, we've already built it, and we're using it in market today." 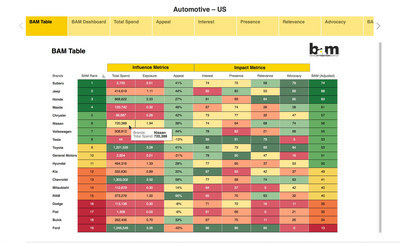 Using billions of data points from a range of media channel inputs that include paid mass and digital media, social channels, sentiment scores, search, keyword and advocacy metrics, the BAM's patent-pending algorithm uses a proven weighting system to evaluate the cumulative effect of a brand's performance by channel. 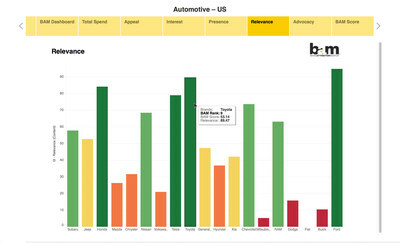 Also, BAM shows how these specific data points affect one another in influencing the behaviour of the consumer in comparison to category norms and key competitors. "This single technology breakthrough is what will increase the value of marketing leaders by empowering them with KPIs the CEOs can align to and be a part of," Channer adds. Mass Minority is a data analytics communications company, that combines data mining, data brokerage and analytics, to create three unique data products; BAM, (Brand Attraction Monitor), HVT (Human Values Technology) and BMT (Brand Mapping Technology). Mass Minority consists of three operating divisions; Mass Minority Media Studios that offer a range of data led communication services, Mass Minority Technologies that offer data tables on society values and beliefs, cross media monitoring, and strategic communication services through brand mapping technology and Mass Minority Productions for effective affordable content. Mass Minority was founded by CEO Brett Channer in June, 2015 with limited private shares ownership.